The Carpet Barn was established in 1976. The Carpet Barn Mount Maunganui opened in 2000. We are a small family owned and operated business and we pride ourselves on providing great service, great products and great prices. 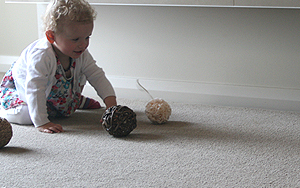 We have an extensive range of competitively priced carpets in both synthetic fibres and 100% pure New Zealand wool. Our carpets are all made in New Zealand in a state of the art Te Rapa factory. Because we manufacture our own ranges of carpet we are able to provide quality carpets at an affordable price. We have a wide range of product knowledge and expertise. We'll help you to choose the right flooring to suit your specific needs. Come in and see us or call for a quote, you will find our prices hard to beat. Prices that are hard to beat!